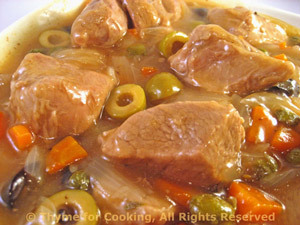 Thyme for Cooking Weekend Menu: Braised Veal, Olives, Capers, easy recipes. Veal gets very tender with a short braising time, substitute pork or chicken if you prefer. Yes, we're a little indulgent with the olives.... 'Tis the season (end of it).